“The preposition anti in 11:15 need not refer to substitution. It can also indicate equivalence. The latter makes better sense in the context”. 1) Thomas R. Schreiner ‘Head Coverings, Prophecies and the Trinity’ – Footnote #7. Dr. Schreiner does not believe a head covering is necessary today. “It is not in the place of a veil, but answering to [anti], in the sense of [anti] in John 1:16, as a permanent endowment [dedotai], perfect passive indicative. 2) A.T. Robertson – Word Pictures in the New Testament – 1 Corinthians, Volume 1 – 11:15 ‘for a covering’. He does not believe in the ongoing practice of head covering. The example that A.T. mentions is John 1:16 which says “For of His fullness we have all received, and grace upon grace.” (NASB). The section he’s referencing is at the end where it says, “charis anti charis” (translated: “grace upon grace” NASB or “grace for grace” KJV). This example shows that “anti” doesn’t only mean substitution as we haven’t received “grace instead of grace”. If you refuse to have long hair, you should cut your hair short? You’d already have short hair! This argument wouldn’t make sense. Some then object to the ESV rendering of “cut short”. They would understand “cut off” (NASB) as a synonym for shaved making this argument less nonsensical. Paul’s argument would then be transformed into “if a woman has short hair, she should shave it all off”. The problem with this argument is “cut off” cannot mean shaved in this context. The Greek word translated “cut off” is keirō. This word is used again later in this very same passage and it’s differentiated from “shaved” which is the Greek word xuraō. Here’s what it says: “…disgraceful for a woman to have her hair cut off (keirō) or her head shaved (xuraō)…”. Did you catch it? He said “or” shaved. So while “cut off” (keirō) can be used to describe a shaved head, Paul couldn’t have had this in mind here. 3) Thayer’s definitions for G2751 lists ‘cutting short the hair of the head’ as one of the acceptable definitions. This is the only definition that fits the context. http://www.blueletterbible.org/lang/lexicon/lexicon.cfm?strongs=G2751 If we were to understand it that way his argument becomes “…disgraceful for a woman to have her hair [shaved] or her head shaved…”. Shaved or shaved? Once again this just wouldn’t make sense. When Paul references a womans long hair as her covering he says this not to define what he had commanded in verses 4-13, but to support his argument as a reason for the wearing of an artificial covering (see: Nature). We know it’s an argument because it’s phrased as a rhetorical question, “Does not even nature itself teach you…”. Furthermore he calls a woman’s long hair her glory, this further shows Paul has two coverings in mind as earlier he said it’s a symbol that she’s under authority (1 Cor 11:10). Verses 10 and 15 would have to be saying the same thing if long hair is the same as a head covering. But this can hardly be the case. In v 10, a woman is required to wear a ‘symbol of authority.’ Such a symbol represents her submission, not her glory…A literal translation would be: ‘it is a glory to her’ or ‘a glory accruing to her,’ or ‘to her advantage.’ Surely this is not the point of v 10! 4) From http://bible.org/article/what-head-covering-1-cor-112-16-and-does-it-apply-us-today. Dr. Wallace does not believe a head covering is necessary today. So a woman’s natural covering is her long hair which is her glory. 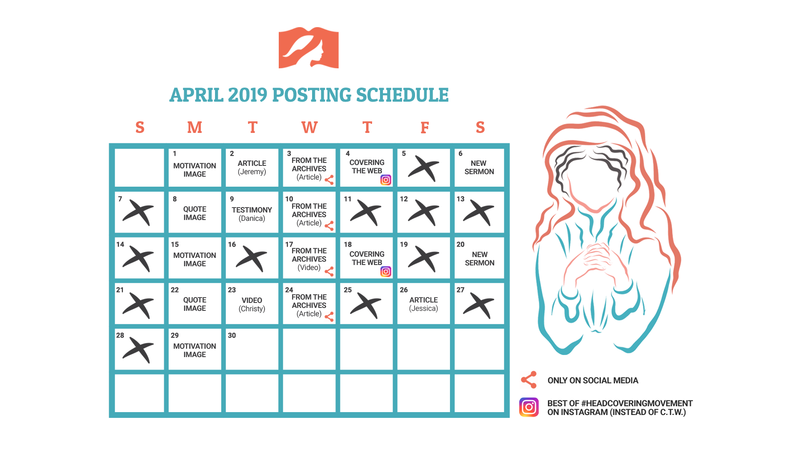 However, when she is “praying and prophesying” she is also to wear an artificial covering to cover that glory, as a symbol that she’s under authority (1 Cor 11:10). ↑ Thomas R. Schreiner ‘Head Coverings, Prophecies and the Trinity’ – Footnote #7. Dr. Schreiner does not believe a head covering is necessary today. ↑ A.T. Robertson – Word Pictures in the New Testament – 1 Corinthians, Volume 1 – 11:15 ‘for a covering’. He does not believe in the ongoing practice of head covering. ↑ From http://bible.org/article/what-head-covering-1-cor-112-16-and-does-it-apply-us-today. Dr. Wallace does not believe a head covering is necessary today. Ezekiel 28:14Thou art the anointed cherub that covereth; and I have set thee so: thou wast upon the holy mountain of God; thou hast walked up and down in the midst of the stones of fire. Excellent – I wish I’d had this article to show a pastor who took great offence to my covering in church. I was so bullied that I stopped – but the Holy Spirit has been picking at me that I should be in obedience. I think I will print this off a few times and have it on hand when I go to church (a new church) this Sunday WITH my headcovering back in place. Thank you for empowering and encouraging! Thank you for another great article. I find Alisha’s comment on rebellion intriguing. I am part of a Biblical counseling center who’s main clientele are the Anabaptist people. We have see instances where after a sister has dealt with and resolved her rebellion she once again senses the need to be veiled. From a personal study note. I have found it intriguing that history reports a major rejection of woman being veiled in worship during the 30’s one of the first major American rebellion movements. It is my understanding that a spirit of rebellion plays a significant part in ones life when they reject the head covering after having understood and practiced it. I am still seeking to understand why and all of the spiritual elements behind it. Thank you Alisha for adding one more piece of the puzzle for me. 1 Corinthians 11:15 clearly says that a woman’s long hair is given to her as her covering. I don’t understand why everyone needs to go back to the Greek/Hebrew for every little word to explain their interpretation of the Bible. The Bible was translated in English for a reason. The King James Bible is fully capable of providing us with every doctrine that God wants us to know. It says what it means and means what it says. If you read the Bible for what it says, you can NOT come to the conclusion that we need a hair covering of linen, wool, or any other type of fabric. God is not the author of confusion. Satan is. To say that women (with long hair) cannot be heard or go to heaven without a fabric covering on their head is legalistic to the core. Our long hair is given to us for a covering, we don’t need two. second the KJV Bible is not a very good translation as far as translations go…i mean it works but i do not/can not understand why so many people hold to that translation as if it were the be all end all of translations when in reality it is not. what is not well known is that the KJV was translated with only 12 NT manuscripts and the oldest of them was from the 10th century…when the more recent versions (NIV, NKJV, ESV, NAS, etc…) were translated the groups/scholars had thousands of manuscripts and some that dated back to the 2nd and 3rd centuries, giving a much clearer and more accurate picture of the Word of God in my opinion. Older manuscripts don’t equal reliable manuscripts. The Sinaiticus is a manuscript from the 300s, it is used in many of the modern Bibles as a main underlying text(NIV, ESV, etc. ), but it has many misspellings and was found literally in a trashcan to be burned. You can hear a great audio about the validity of the KJV Bible(very sourced!) here: http://www.contendingfortruth.com/?p=1090 That’s part 1 of 5, just search KJV in the search bar on the right to find the others. I don’t think that the article did a good job at saying how 1 Corinthians 11:15 doesn’t negate us wearing a headcovering. I think that it is rather clear, “…for her hair is given her for a covering.” I don’t think that anyone can misunderstand that. You can’t ignore this scripture. Even the flawed newer translations say much of the same, “For long hair is given to her as a covering.”(NIV). I don’t understand how some think that we should all be wearing another covering other than our long hair. Many women look down upon those who don’t, just as this site seems to be doing…. And, they do so without cause. I suspect, though, that the women on this site who do this will adamantly deny it. “Oh Hannah,” I suspect they’ll say, “I don’t look down on you at all! I don’t judge you!” Blah, blah, blah. They SAY that they don’t look down on you, but their actions betray their words. I agree with you, Hannah. Virtually every woman that covers with a piece of fabric looks down on you. She is simply lying if she tries to deny that. 1 Komoszewski, J. Ed, James Sawyer, and Daniel Wallace.Reinventing Jesus What the Da Vinci Code and Other Novel Speculations Dont Tell You. Grand Rapids, MI: Kregel Publications, 2006. Look, if someone said to me, “I regularly steal other people’s property and keep it for myself, BUT I’m not a thief!” I would conclude that that person was lying. I wouldn’t need to have the ability to be keenly aware of that person’s heart and mind to conclude that he was lying. I would draw that conclusion based upon the observation that their actions betray their words. Someone that regularly steals other people’s property and keeps it for themselves is a thief. Is it judgmental of ME to conclude that person is lying if he/she insists to me that he/she is not a thief? Do I have to be keenly aware of that person’s heart in order to conclude that? I base my conclusions upon what I can plainly observe. Ergo, if one person says to another person, “I am obedient to the Word of God and I believe you are disobedient to the Word of God” then I would only naturally conclude that the person saying that is looking down on the person he/she is speaking to. I don’t think I need to have the ability to be “keenly aware” of that person’s heart and mind to conclude that. I’m honestly not sure why you think that coming to a conclusion like that is “arrogant”. EVERY WOMAN …since there is no possible way that you could have watched/observed virtually “every woman that covers with a piece of fabric” then you are attempting to speak for every woman that you do not know and therefore i was correct that you were being arrogant on that score…at least in your words…because you were trying to speak for all of us, even those of us you have never met or observed and that is simply unfair. Jeremy indicates that wearing a fabric covering is not “optional”. According to him Christians are not at liberty to choose to not do it. According to him it is a “Biblical Command”. He further clarifies: “Being a Biblical command…means if you are convinced that it’s being interpreted correctly, you are obligated to observe it… means you can persuade and exhort others to observe it (without being legalistic). Of course what Jeremy really needs to unpack is how this is done in the real world. 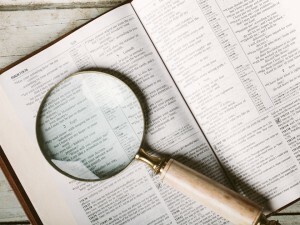 How do you insist something “must” be done (as he makes the case that the word “ought” is just as imperative as the word “must”) “without being legalistic”? Jeremy says, “I’m not suggesting a return to the old written code which we have been released from” yet what he does seem to suggest is that the “old written code” has simply been replaced by a new one. He seems to be suggesting that is the difference between the old covenant and the new covenant. One list of imperatives has simply been replaced by a new and different one. He says you “can” teach and exhort others to do the same. Is THAT a matter of Christian liberty? Is a Christian who is convinced that a cloth covering is something that is a command given by God also obligated to to exhort others to do the same or can Christians choose to not exhort others to do it? What you wrote here, Anna, indicates to me that you do not believe this is a “binding” command given by God. That is because you wrote “it is a matter that we are free to choose on”. You can’t have it both ways. You can’t say that something is a “binding command” for all Christians and at the same time say it is something that “is a matter that we are free to choose on”. So which is it to you? Is it a “binding command” that God gave or is it a matter of Christian liberty? Thanks, Anna. I would encourage you to read Jeremy’s article about whether this is a Christian liberty issue. He even addresses the example you gave here about eating meat sacrificed to idols, etc. That article is the most recent one posted. 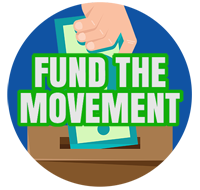 This site represents a view that is opposed to what you just expressed. I submit to you that it is sites like this that actually encourage the mentality that is expressed by the women that you rightly point out that I have had “bad experiences” with. In other words, in my opinion, sites like this actually foster and in some cases create the mentality expressed by those women. Again, you are right. Not ALL women who wear a covering hold your view and express it like you have. I should not have said that. It was an overstatement. But I submit that if women actually start smoking what Jeremy is selling here then it will only naturally lead to more of the “bad experiences” that you refer to. David, your comments are very thought provoking. You are right, people do not always act according to their beliefs or “heart.” I hold the belief that it is better to believe what people do, not what they say. Someone can say they believe Jesus is the Messiah, but their life actions reflect a life that it is all about them. Even head coverings don’t reflect a life lived for others. I say we are to be about doing the things that mattered to Jesus. Jesus did not present himself or dress in such a way to draw attention to himself. He was outwardly focused without sticking out like a sore thumb, while still remaining holy. I find that so encouraging and fascinating. You are correct. People on this blog post stream have many misspellings. It does not diminish their meanings. Anna, you said, “…but yes they certainly use the ones closest to the originals because they are actually quite reliable…also misspellings does not equal a bad manuscript…misspellings are neither meaningful nor viable variants and all manuscripts have some degree of variants, even the ones used in the KJV.” That is actually not an issue worth spending time on in an argument for or against KVJ or any other version. We would all be in a bad place if we were judged on our spelling! Wow. Well said. You are quite bold. Very good to be bold. We just all need to focus on Christ on not what other people are wearing on their heads! Agreed. That especially goes for the people who created this blog!! You know, David, I have considered the testimony of those who cover towards those who don’t. (since you called me out for being condescending) I know there are many who take pride in their new-found, or age-old tradition that “pleases God.” They do “look down” or feel superior. But there are also many who struggle with what obedience means to them personally, and don’t want to overlook a practice that could have significance if it truly is the mind of the Lord for them. I say, if you put a covering on, and you feel proud, you probably shouldn’t wear it. If it *hurts your pride, maybe it is being done for the right reasons. When I first started to cover, I went to a Baptist women’s convention. I wore slacks, and when worship or study time came, pulled out a small scarf and tied it on for a covering. I stood out terribly, and felt very uncomfortable and somewhat embarrassed. It was the first time I had worn a covering outside of our own assembly, *and I was the only person wearing pants. 🙂 I have seen more contention in the “dresses only” group than in the covering crowd. People like to feel religious, and God pleasing. It is our nature. How many feel superior because they attend meetings 3 times a week? It’s easy to find some area that someone holds up as proof that they are more godly than their neighbor. But we are all human, and without faith, it all means nothing. And this pride issue seems to be an issue for David Pendleton, too, who calls everyone here wrong and himself right. Hannah I only want to add that the piece of scripture that you quote does not go or belong by itself but is a part of a larger argument preceding it which is that nature teaches us something and that the lesson is that women should veil their heads because even in natures setting or naturally women show that a covering for them is appropriate. So he is saying that even if dumb nature can show you that in pictures like hieroglphyics we should be able to understand it. So he is not saying that nature already provides that which he is arguing we should have, because that would mean we already had it. It is clear he is using the natural imagery of a veil provided by hair as an illustration that we should wear the other veil. So hair is not the veil but an image or type of one. What does Paul *actually say* -nature- teaches us? Without any additions or interpretations? Paul says -nature- teaches us is that it is a shame for a “man” to have “long hair” while that same “long hair” is a glory to a woman. Paul never says that a woman should veil her hair with fabric. Paul *does say* a woman’s hair is *given* to her, specifically, it is given to her *for a covering*. Below is what nature teaches according to Paul. You both may be wrong. I read an argument today where a teacher of the Torah refers to the passage of long hair on men as a mistranslation. He says the words used refer to a man’s hair being plaited or adorned like women were doing those days. After all, why would it be a shame if the Nazarites were commanded not to cut their hair? He also contends that men SHOULD cover their heads, as the passage, in his interpretation, refers only to men not veiling themselves like a woman would veil herself, with a long covering. Hmmm. So who decides when the bible is literal and when it is figurative or symbolic? The context and plain meaning of the words are usually enough to make it obvious. Paul is not speakinghere in symbolically or figuratively but simply uses a figure. There is a difference between speakingfiguratively which would be to use words or ideas that are not the things themselves but representations as is often the case in poetry bit Paul is not speaking that way. Paul speaks literally and merely uses a illustration drawn from nature to supplement his argument. There is a difference between speaking figuratively and using a figure. What apostle Paul is saying in V 15; about long hair is the covering of a woman: is talking about the woman natural long hair and not artificial hair. And believe me or not no woman are to open their head in church or during prayers because is not the glory of God but of their husband. To see this discussion very important look at (Genesis 24:65) says: For she (Rebekah) had said unto the servant, what man is this that walketh in the field to meet us? And the servant had said, it is my master: therefore she took a (veil), and covered herself. Hannah,You would have to ask yourself why Paul wrote what he did and the way he did if the natural hair alone was the covering he spoke of, that would make it redundant. Paul was speaking of another covering and using the natural hair as an example from nature to further demonstrate that a covering is given us even in nature and so we should not find the covering our heads strange . Do you think Paul had a problem with bald women in the church? The verse you quoted above is part of a larger context and argument, you cannot take that broken off piece and make it say what you want. If you go and read the whole set of verse from the beginning of Paul’s comments I think you will find that the piece of verse you mentioned does not say what you are saying it says, because that would make the rest that goes before it nonsensical. in order to bring every piece into harmony we must take it as a whole. Lastly as was mentioned in this article, the practice of the early church confirms the correct understanding. It is a shame for a woman to have short hair and even more of a shame for her to be bald. Both men and women have hair…but it is a *shame* for a man to have *long hair*. It is a glory for a woman to have *long hair* but a shame for it to be short…even nature tells us this. However, if a woman refuses to wear her hair long, the way God intended since He gave it to her for a covering, and she rebells and cuts it short, then she might as well go all the way and shave it all off. In the same way, Paul says that some Jews were telling Gentile believers they needed to be circumcised in order to be saved. Paul said of those who were becoming circumcised that they would just go the whole way and cut the whole thing off. Paul was being extreme. In the same way, Paul says that if a woman is going to wear her hair short she might as well go all the way and shave it all off. God *gave* the woman a covering—her long hair. God did not give fabric for a covering. God gave long hair for a covering…to the woman. I love the early church fathers and have read many of them. They are not always correct on every subject and this begins early such as with the case of amillenialism. The original teaching was pre-millennialism but as early as the 1st or 2nd century amillennialism had crept in. The point being, scripture trumps early church history and man’s interpretation of certain scriptures. In the case of head covering, we are told that a woman was given a covering, we are told that covering is long hair. Short hair is not ‘covering’, short hair would be equivalent to a man’s hair in nature. If a woman is going to have short hair, she might as well shave her hair completely off. If it is a shame for a woman to have short hair or a shaved head, then she should be covered (with long hair), which was given to her *for* a covering. Thank you Rachal You explained this so sweetly! Lastly I would say that the example of the early church I speak of is not in word though that helps but in practice. The church had obviously received the traditional practice. Another aspect given in Paul’s writing is authority. Long hair does not imply that the woman is under authority, which is the appeal of the covering in this passage. The woman is told she should have authority on her head. (or a symbol of it, as most scholars agree, both for and against a cloth covering) We know that egalitarian teaching isn’t new to the Church, but the fervent attempts to get another interpretation from this passage seem to coincide with the political movement of feminism in our nation. It is a glory for a woman to have *long hair* but a shame for it to be short…even nature tells us this. However, if a woman refuses to wear her hair long, the way God intended since He gave it to her for a covering, and she rebells and cuts it short, then she might as well go all the way and shave it all off. You, my friend, hit this right on the head (no pun intended). Where are all the manly preachers out there, that should be teaching this from the pulpit ? A female that has a hair cut like she got out of boot camp 2 months ago, is NOT what God intends a lady to look like. Men should look like men and a female should look like a lady. Have a look in any church these days. Women aren’t “ladies” any more, only feminists with an agenda who rebel against their husbands and their God and put themselves first. Why do all these modern women, who by the way profess to be saved and love the Lord, start using these double and hyphenated last names. Do these women not study their Bibles and see where it says that when a lady gets married, she becomes ONE with her husband ? They become one and take their husbands last name. SHAME on these women for trying to act like they are someone important,..
What do you recommend for women with Afro-textured hair? same as a white girl. LOTS of hair. Ya see Ms. Teresa, another reason a woman needs to have long hair to to differentiate women from men. A woman’s long hair is her glory. If she has sort hair, she might as well shave her head BALD, because she has no glory……….. While I agree with a literal interpretation of the passage in 1 Cor 11, I do not agree that early Church practices make it scriptural. There are many practices that you could link to the “Church Fathers” that are not scriptural, in my understanding. However, the fact is, that throughout most of Christian history, a fabric covering of some kind was worn by women in worship. covering is long hair, makes sense. Yes, and then the question is, what other passages can’t we understand in the English. Seriously? Go study what the words shorn and shaven mean. To infer that shorn means shaven in this verse you basically said “Paul was stupid for using the words shorn and shaven in the same verse when he did not need to. @manfrednissley:disqus, that was the position I was critiquing. Some who hold the long hair view have suggested that to get around the problem of 1 Cor 11:6. Great point, I’m going to make that change now. Excellent. I once noticed, that Verses 14-15 are “further illustrations” to Paul’s chain of reasons. they are not foundational but illustrative. Now, many start reading here in the last verses and try to use these illustrations as a means to overthrow Paul’s main arguments. You would not do that with any other text. I think it is more powerful than that. Reading these last verses and using them to overthrow the first also denies the very structure of the text. You have theology, command, illustration and support. It is folly to take the illustration and support and use it to overthrow the command itself. It should be noted, and this might take another post in and of itself, that there are two different Greek words used here, both translated ‘covering’. Some (or all) women who wear the covering ‘look down’ on women who don’t. Therefore Paul could not have meant for women to wear the covering. The missing premise would then need to be: Paul could not have commanded anything which would allow anyone to look down on anyone else. But this is surely fallacious. Paul was against fornication. But surely some, indeed most, people who don’t fornication ‘look down’ on those who do?! If ‘looking down’ means ‘they don’t see it as an area of Christian liberty’. If nothing else is clear, the passage is clear that this is not, nor can be, an area of Christian liberty. It is grounded in a creation ordinance, and in the very heirarchy of God:Christ:Man:Woman. I do appreciate the honest and healthy dialogue on this blog. I am glad christians can dialogue, discuss and disagree on things without animosity. Does anyone know if it was customary for all women to wear something on their heads during the time of Jesus? It looks like that in all films I have ever seen. Was it assumed that all women were believers unless they made it very obvious, like prostitutes? It depends on the region and the setting (worship or not). Greek men and women were uncovered in worship. Roman men were covered in worship. Corinthian women didn’t have a standard practice for public. Some covered, some did not. Jewish women covered in public and we have nothing regarding the practice of Jewish men in that time period (earliest evidence is the Talmud, but nothing near the time of Jesus/Paul despite claims to the contrary which don’t cite primary evidence). I haven’t studied Prostitutes enough during that time period but I know at least some archaeological finds show prostitues wearing a head covering. One thing is clear, having a bare head (no covering) was not a sign of being a prostitute. We’ll include all this information with sources in a future article. Some one posted that the early church wasn’t always right and mentioned that the original early church was premillenial but in the next century was amillenial, thus suggesting that since the church got it wrong on eschatology, they could be wrong about the head covering, too. I would point out that the apostles were anything BUT premillenial. So perhaps this makes the head covering more valid? would bring glory to herself and not to Him? This was very puzzling, and just didn’t seem right to me. Then sometime, it occurred to me that if the head covering is indeed long hair, when a woman submits to it, she brings honor to Christ, and this is why it is a glory to her, because it glorifies Christ, not because it adds physical beauty or glory to herself. Here’s a thought, well two, that I have not read yet, well it might be in here somewhere. If a woman has hair that extends to the middle of her back does it cover her head? Obviously it does. If a women has hair that does not extend beyond her ear lobes does it cover her head? Obviously it does. So, whether her hair is long, or short, or even a military cut, if she has hair, it covers here head. 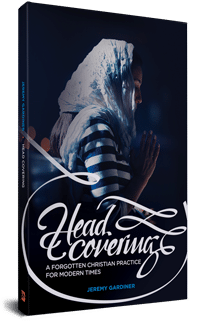 Therefore all women who are not hairless on their heads (bald) are covered, so then, why the admonition from Paul to cover while praying or prophesying? Was it because there were hairless (bald) women in the congregation? If hair is the covering that Paul meant then does that mean any man who has hair on his head is in violation of scripture, since his head is covered . . . . with hair? Is the question: how long is long enough to be considered a covering? If so, how do we answer that from scripture? He’s referring to a material covering in 1 Cor 11:4-13, not hair. I wouldn’t extend it that far. Paul says it is her “long hair” that is given to her for a covering. The word that he used for covering (different from the word he used for covering earlier) means something that is wrapped/thrown around. It’s used to refer to a coat, mantle, bedsheet etc. in it’s Greek usage inside and outside of Scripture. So the word used wouldn’t fit with a short or military cut as you can’t wrap/toss that length of hair. Zeek and Connie, as I see it you have made a very solid argument or proof for a material covering by showing all the conundrums and inconsistencies that come from interpreting the covering to mean and be the hair alone. Your own words and logical conclusions give you the only answer, because they show all the reasons why hair is not the covering while the removeable material covering runs into none of those absurdities and that is because Paul was speaking of a material head covering not the head as its own covering. Good job. Also worth noting, is hair on a woman, (long or short) doesn’t imply submission in any way. I’ve been studying 1 Corinthians 11 for several months (and your site has helped me a lot! ), but I’m still confused about it. (To be on the safe side, I’ve been wearing a headcovering until I find out.) My biggest question is the reason for headcoverings. 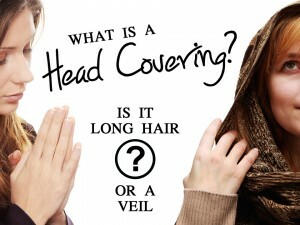 If we should cover our hair because it’s our glory, why does 1 Cor. 11:5 say an uncovered head is the same as a shaved head? (One has glory, the other doesn’t.) Does it mean they are both unsubmissive? Hi Kayla, the 2nd half of this article should help http://www.headcoveringmovement.com/articles/why-head-coverings-reason-3-nature (start where it says “Now to show why Paul’s question (1 Cor 11:13) was rhetorical for both him and his hearers”). Regarding your second statement i’m not exactly sure what you mean. Paul says a “uncovered head” is dishonorable and so is a “shaved head” (both only for women). So I’m not sure what you meant by “one has glory, the other doesn’t”. Feel free to respond back to clarify. Thanks for the quick reply and link. What I mean is if a woman’s hair is not covered, she is showing her glory. If her head is shaved, her glory is gone. I can see why a shaved head would be a dishonor, but why is an uncovered head also a dishonor if the hair is the glory? Is it because long hair and a headcovering show our role and submission, and it would be shame not to accept our role? I used to believe long hair was the only covering, and thought it was for glory and submission, so I used to read 1 Cor. 11:5 and think short hair is the same as a shaved head because they’re both obviously a disgrace (for women)… that could be the reason I’m not understanding it now. Yes, that’s correct. Also as per 1 Cor 11:7 the man can’t cover his head in worship because he displays the glory of God. Whereas woman needs to be covered because she’s the glory of man. So besides showing submission, a covering also veils the glory of man (and as a byproduct a womans own glory) so that only the glory of God is on display while we worship. I have been pondering the glory aspect of covering, and while Paul refers to woman being the glory of man, he doesn’t seem to imply that long hair is *the glory being covered. Her long hair is *a glory. Her position to man in creation, a picture of the Church in relation to Christ, is the glory of man. Hard to comprehend, and maybe I’m over thinking it. But if we decide this position, and the type it represents, is unimportant or even wrong (egalitarian), it is taking a very bold and heretical position. I’ve been studying this for a while. Is it honorable for a women to wear it outside of worship? Does it mean anything for a women to wear it outside of the house or worship, like in everyday life. Hi @cocoaboayue:disqus, it’s debated. Our position (articled here: http://www.headcoveringmovement.com/articles/where-are-head-coverings-to-practiced-in-church-or-everywhere ), is that this is a church symbol but other’s believe it’s for outside of church. Yes I know as well. But does it mean anything for a women to do? I often see the defense that by verse 15 its obviously saying its the hair only. This article along with others I’ve read clearly show that would be nonsense because it disregards the previous verses (not to mention it doesn’t make much sense when you dissect it from original Greek words). If he were talking about hair the whole time I’m pretty sure he would have just flat out said that long hair is a covering, the symbol of authority, and we shouldn’t cut it off all in one verse and saved us all the rest of the verses! But he didn’t! I too have gone back and forth about whether it really is just hair and looked at both sides, but for some reason I just cannot accept that it’s hair only. I do have some questions about verse 15 though. So is he emphasizing that our long hair is a glory and natural covering that distinguishes us female so therefore we should not cut it off and that’s all he meant by that verse? I just don’t see how that one verse automatically trumps the previous verses and the head covering piece. Also since our hair is a glory does Paul mean it in a way that it is our beauty therfore we should let it flow down to cover in addition to the covering on top OR is it just a covering for our bald head so we are to keep it uncut, covered completely under a covering to maintain modesty and keep it for our husbands only since long hair is a form of lust for some people. So it’s pretty hard to debate that women since biblical times who practiced head covering where “wrong” and somehow people in the 20th century suddenly “figured it out” that its hair and a covering is irrelevant! Thats ridiculous to me. The Greek language has a word for long and a word for hair…neither are used in 1 Cor 11 14-15. What could Paul be saying? Women should have a woman’s style of hair ( tressled hair), and a man’s hair not tressled? I think the length of the hair is a red herring. That aside, let’s just say you were right and it was “tressled hair.” If that were the case, I see you don’t argue for the fact that a woman’s hair needs to be tressled (meaning hair that is straight doesn’t qualify as her “glory.”) You interpret Paul’s usage as a type (or example) of hairstyle. You say it’s feminine-type but it could just be as easily argued that it’s long-type. But once again I’d go back to Plutarch to show that 1st century Greek writer knew that word communicated length. Thanks Jeremy for the info on page 56. It echo’s my sentiments that the length of hair is secondary. I think if Paul had meant only length he would have used the Greek words for long hair. Surely Paul was saying something else. But these translations prove little, we must have understanding, context and reasoning. All translations of Genesis 24:9 use the phrase “under his thigh”. No one who studies the passage would concur..he put his hand on Abraham’s circumcision, the sign of the covenant. We emulate that act when we put our hand on the Bible (covenant) to swear an oath. One thing for sure, v,15 shows that the hair is a covering. I am yet to be convinced a woman needs two coverings. Why does it matter? Honestly, how petty could Paul/ Saul have been to even answer questions about hair length. In vs 10, I do not see the word symbol used, it is a translators addition.She is to have authority on her head which takes you back to his original argument. Can you show me where Paul is referring to something in the Torah to support your argument? Head covering is a symbol that is unique to the New Covenant. You won’t find it in the Old Testament much like baptism, spiritual gifts, offices of elder and deacon etc. Did any of the early Christian pioneers, not out of the Roman Vatican fruit, promote or speak about 1Corinthians 11:1-16 and promote the head covering? I do not necessarily see that Paul is referring to a removable covering. The context could just as easily refer to a consistent or long term state of being covered or uncovered. This does, in fact, seem to be supported not only by Paul’s reasoning from nature, but also by the fact that hair length is even brought into the argument at all – it simply seems irrelevant if a cloth covering is intended. This interpretation would render the hair-as-covering argument not only tenable, but, as far as I can tell, the only possible explanation. I’m open to correction regarding this if others have thoughts on it. Think about the man being commanded to NOT cover his head. If hair is the covering being referred to here, how does a man take his hair on and off? Is he supposed to be bald? After reading this discussion and having studied this topic a little in the past I understnad that Paul is actually referring to the need of a woman to use a removable head covering during worship times. However it is clear to me from apostle Paul’s comments that this is based on the cultural norms of the time and how women and dignity were percieved at the time of Paul’s writing. For instance he mentions the woman’s hair for the Coritnhians as her glory and man’s long hair, for the Corinthians, as a dishonor. He bases his discussion of the mode of worship in the Corinthian church, on these norms of the Corinthians. However these norms are not God’s Laws. For instance for God man’s long hair is not a dishonor at all and short hair in man is not honorable – yet they can be social symbols of submission or rebellion (see Numbers 6:1-21; Ezekiel 44:20; Jeremiah 9:26; 25:23; 49:32). For instance Samson was rejected when his hair was cut and God was with Him when it grew again. Therefore I believe that as food is not important for Paul, so is hair. Yet he i being culturally sensitive in these things so as not to disgrace God’s work and the gospel in the eyes of men because of these futile things (1 Cor. 9:22; Romans 14). Hair is not that imortnat for us today but for Greek culture it made distinctions between civilised and uncivilised, and a covering on the head was a symbol of submission and authority. Yet in Westen culture we are not usually offended or finds it distasteful or disgraceful that a woman is worshiping God without a covering on the head or if a man has long hair, or a woman has short hair. If one however feels disrespectful to God without a covering he is to cover it so that his conscience does not condemn him. Likewise if one feels his hair is to be long or short. There were times when God wanted me to leave my hair long for effectiveness in evangelism and another time when He instructed me to cut it for effectiveness in teaching. I obeyed. We belong to Him and our body is the Temple of the Holy Spirit. We are not our own (1 Cor. 6). Glad to hear you’ve put some time into thinking through this topic. I understand your objections and if you’re interested we have numerous articles dealing with all the points you’ve made. I’ll point you to three but feel free to look through them all under articles –> sorted by series. the start. It states that sometimes God commands exceptions to his rules. article holding tight at all. has forbidden. So the argument of exceptions to God’s commands falls numb as there is no command from God about hair, but we see a direction from Paul about hair length in Corinthian churches, possibly also in the other Greek churches as well, based on their conception of the meaning of long and short hair in their culture. Furthermore Samson was commanded by God to have long hair – and the same goes for all the Nazirites who vowed to be consecrated to God under the Mosaic Law. Would God commands something he hates on mankind? It said in the article that God commanded Isaiah to go naked for 3 years – but actually this does not go against God’s design for mankind before sin came in… He created Adam and Eve naked in the garden of Eden and they only needed a covering after sin came in. And about Hosea marrying a promiscuous woman, as long as she was a Jew it was legal for him to do this – he was not breaking God’s law. God did not command him to do anything under the Law but something that He himself would do – Jesus making a marriage covenant with a rebellious and sinful generation. Hosea also redeemed His rebellious wife from slavery in a similar manner as Jesus did. I don’t see this argument in the article holding tight at all. As for the article in your site ‘Are Appropriate Hair Lengths Dictated by Culture?’ that tries to hint that at the time of Paul in Greco-Roman culture, it was not shameful for a man to carry long hair, I tend to disagree with this as well, as one can see from the evidence quoted in the same article. As regards to the interesting quote of Dio Chrysostom (40-115AD) who was from Bythnia (not Greece) and was about 16 years old at the time of Paul’s writing In his 35th discourse in Celaenae in Pyrigia, he mentioned two extremes in the culture – those men who held long hair as symbol of wisdom and devotion to deity or philosophy, the priests and the philosophers, contrasting them with those of lowly nature such as the peasants and barbarians. He writes cynically about those ’three or four long-haired persons like the high-priests of your local rites’ and the group of sophists or philosphers carrying long hair saying basically not to judge a man’s wit by his hair. One should know that Dio Chrysostom himself also carried long hair and that for a time he went about in beggar’s garbs – it seems to me that he had a tendency for humility, even as this whole speech shows from its beginning. This discourse of Dio Chrysostom in fact associates long hair on man as a sign of humility as he says that even peasants and barbarians carry this long hair and stating that in ‘none of these cases are people subjected to odium (hatred) or ridicule’. However probably in the case of philosophers and priests in their time started as a sign of humility – as was is the white collar for the protestant and Catholic priest and the religious vests for Catholic priests and monks, and ended up as signs of authority in their sphere, be it intellectual or religious – as was the case with the said religious vests and apparel. This quote shows that long haired men in the culture he was addressing who did not fall into these categories mentioned – ‘sophists, priests, peasants and barbarians’ were actually subjected to ‘odium and ridicule’. This then confirms the cultural aspect of Paul’s reference about length of hair among the Corinthians rather than refuting it! Having said this I still suggest, agreeing with Paul in Romans 14:1-15:4, that in these petty issues, like the issue abut food, if hair length and covering your head make you feel sinful, do as your conscience or culture dictates for the sake of a clean conscience and for the praise of the gospel. has forbidden. So the argument of exceptions to God’s commands falls numb as there is no command from God about hair, but we see a direction from Paul about hair length in Corinthian churches, possibly also in the other Greek churches as well, based on their conception of the meaning of long and short hair in their culture. Furthermore Samson was commanded by God to have long hair – and the same goes for all the Nazirites who vowed to be consecrated to God under the Mosaic Law. Would God commands something he hates on mankind? It said in the article that God commanded Isaiah to go naked for 3 years – but actually this does not go against God’s design for mankind before sin came in… He created Adam and Eve naked in the garden of Eden and they only needed a covering after sin came in. And about Hosea marrying a promiscuous woman, as long as she was a Jew it was legal for him to do this – he was not breaking God’s law. God did not command him to do anything against the Law but something that He Himself did with Israel and that He would do later – Jesus making a marriage covenant with a rebellious and sinful generation. Hosea also redeemed His rebellious wife from slavery in a similar manner as Jesus did. I don’t see this argument in the article holding tight at all. Yes, the covering is separate. Paul’s statement in verse 15 is in reference to how even nature reflects that a woman should be covered. The latter verses in the Word never cancel out the earlier.